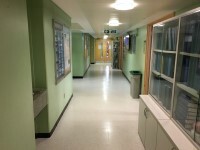 Services / facilities within the building include the Clinical, Educational and Health Psychology Department, Cognitive Perceptual and Brain Sciences Department, the Centre for Languages and International Education, the Division of Psychology and Language Sciences, Geography Department and the Institute of Cognitive Neuroscience. You are on Centrally Timetabled Spaces. Skip to the next section. 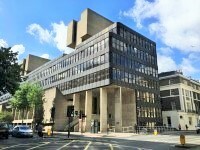 To view the DisabledGo access guide for Bedford Way 26, Lecture Theatre G03 please click here (new tab). 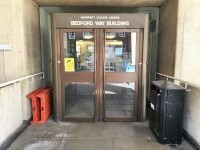 To view the DisabledGo access guide for Bedford Way 26, Lecture Theatre LG04 please click here (new tab). 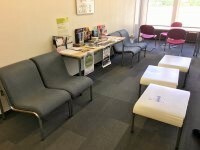 To view the DisabledGo access guide for Bedford Way 26, Public Cluster 316 please click here (new tab). 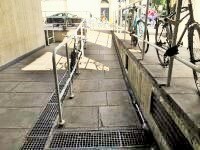 To view the DisabledGo access guide for Bedford Way 26, Public Cluster G11 please click here (new tab). If you are driving to Bedford Way please be aware that it is located within the Congestion Charge Zone. Parking spaces in the area can be difficult to find. Normal Blue Badge restrictions apply. There are no car parks in the immediate area. Bus stop H is located in Woburn Place and is served by the following buses; 59, 68, 91, 168, 10 and N91. King’s Cross Station / St Pancras Station is approximately 1.3km from Bedford Way. 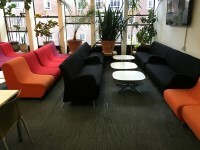 Russell Square is approximately 350m from Bedford Way. This information is for the entrance located at the front of the building, beneath the main entrance. 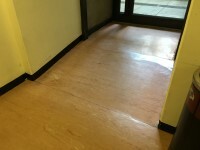 The width of the door opening is 105cm (3ft 5in). The width of the ramp is 110cm (3ft 7in). 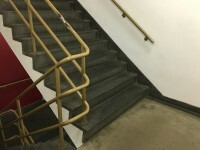 There is an additional ramp just inside the entrance. 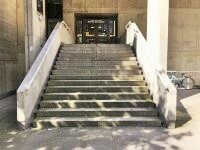 The ramp is steep, has no handrails and is 150cm wide (as shown in photograph 3). 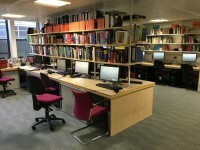 Centre for Language and International Education is located on the ground floor directly ahead as you enter. 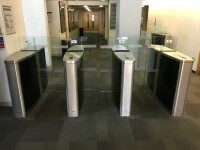 There are 54cm wide security gates to access the building located to the left of the reception (as shown in photograph 2). 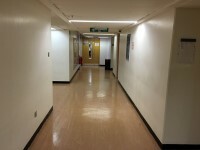 There is a wider gate available to the right which is 87cm wide (as shown in photograph 3). 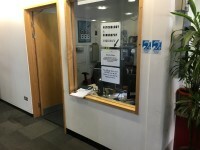 You are on Reception (Security Desk). Skip to the next section. 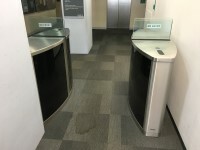 Security desk is located ahead as you enter. This is also the reception for all Psychology, Geography and Thames Estuary Partnership related enquries. 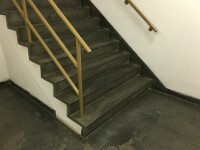 The floors which are accessible by stairs are B-LG-G-1-2-3-4-5. 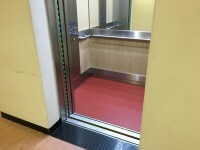 The floors which are accessible by this lift are B-LG-B-1-2-3-4-5. 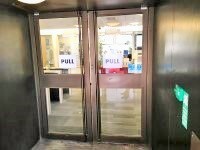 The lift is approximately 14m (15yd 11in) from the accessible entrance. 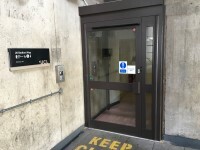 The clear door width is 103cm (3ft 5in). 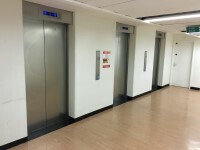 The dimensions of the lift are 120cm x 180cm (3ft 11in x 5ft 11in). You are on Eating and Drinking (Xlnt Cafe). Skip to the next section. The nearest table is approximately 8m (8yd 2ft) from the lift. 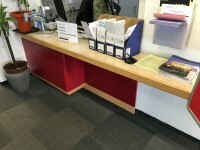 The distance between the floor and the lowest table is 35cm (1ft 2in). 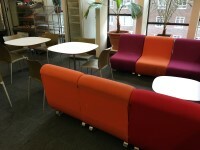 The standard height for tables is 65cm. 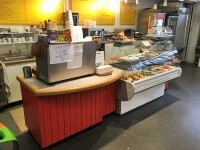 The type of food served here is hot and cold snacks and drinks. 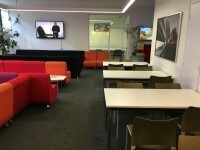 The cafe is located on the third floor in the student common room. You are on Accessible Toilet. 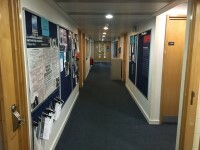 (Lower Ground Floor). Skip to the next section. 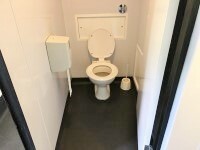 This accessible toilet is 22m (24yd 2in) from the accessible entrance. This accessible toilet is located to the left as you enter. 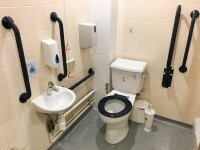 The dimensions of the accessible toilet are 145cm x 240cm (4ft 9in x 7ft 10in). The height of the hand dryer is 121cm (3ft 12in). You are on Accessible Toilet. (First Floor). Skip to the next section. 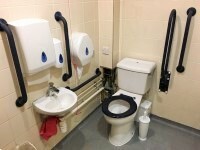 This accessible toilet is 17m (18yd 1ft) from the lift. This accessible toilet is located ahead as you exit the lift. 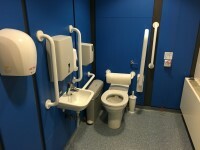 There is a similar accessible toilet located on the fourth floor (as shown in photograph 2). 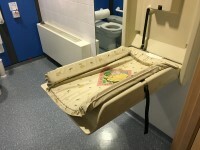 There is a baby changing table 94cm high located within this accessible toilet (as shown in photograph 3). The height of the hand dryer is 124cm (4ft 1in). 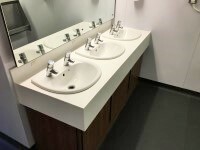 There are male and female standard toilets facilities on the basement floor, the lower ground floor, the first floor, the second floor, the third floor, the fourth floor and the fifth floor. 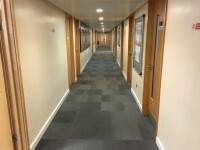 There are female standard toilets facilities on the ground floor. The toilet surveyed is located on the lower ground floor. The standard toilet surveyed is approximately 10m from the lift. To view the full Estates fire safety handbook/ Emergency Plan for Bedford Way 26 please click here (new tab).